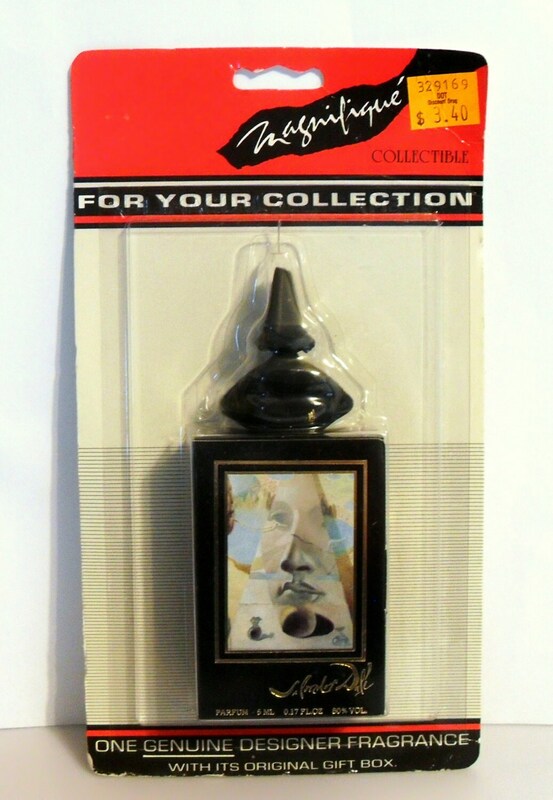 Vintage 1980s Salvador Dali 0.17 oz Parfum Splash Mini Miniature Perfume and Box still sealed in the outer packaging. The package is sealed so I have no idea of how much is still left in the bottle. I imagine it is full but I have no way if any evaporation has taken place over the years. Salvador Dali by Salvador Dali is classified as a floriental fragrance for women. Salvador Dali Parfum was launched in 1983.